The reforestation process started with the production of seedlings in light of the need to restore and enhance forest habitat. After the establishment of the reserves, the regeneration and restoration were also favored. Reforestation under shade for coffee and cacao. Reforestation of the margins of rivers and streams. Restoration of the old pastures on the reserves. Natural regeneration in pastures of the reserves. Donations to the community and recovery of micro basins. Donation of trees to comply with the commitments in the easements. 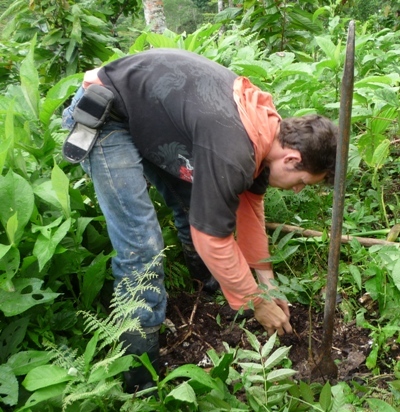 The reforestations carried out are given a monthly maintenance monitoring and clean up of the grass and, when required, fertilizer is applied to the plants: this is done together with the owners of the lands and in the presence of a member of the group. In addition, each reforested farm also has a coordinate which indicates its location, this is especially useful when working with reforestation for the runners. Finally, during these 7 years with the reforestation program over 1,200 acres of pastures, margins of streams and rivers in different parts of the country have been replanted and restored, not just giving a proper management of these areas but also providing a food supply for wildlife. They are done ? ?especially in the rainy season. Density of planting, 200 trees as shade. Seeding density 3×3 in recovery of pastures. Diversification of plants according to the ecosystem properties. Trees are not isolated when working as shade or within the reserves but they are established in Silvopastoral systems. Organic fertilizer is given when planting as required. ProAves’ Habitat Restoration Program has been working on reforestation with native trees in strategic areas to promote connectivity between forest fragments and provide vital native habitat for wildlife especially migratory birds. Through joint management of the botanical nursery of the municipality of Jardín in Antioquia, ProAves and the local community are demonstrating that joint efforts and synergies are achievable between the non-profit and public sector, contributing to habitat conservation for the Yellow-eared Parrot. Around the Reserve El Dorado, a group of kids wanted to preserve the forest for their future and benefit an endemic unique parrot specie of the Sierra Nevada de Santa Marta. These activities were carried out with the leadership of ProAves. 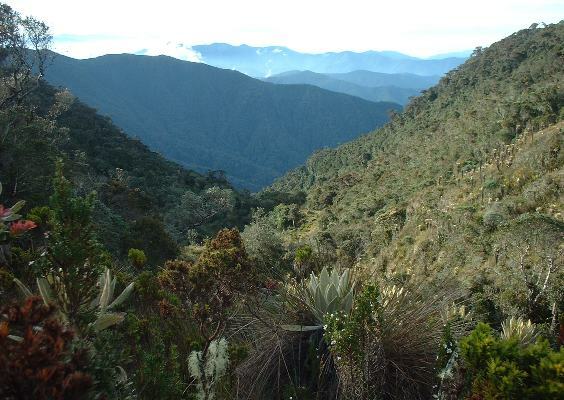 ProAves is clearing non-native invasive pines in the Sierra Nevada de Santa Marta, around El Dorado Bird Reserve, and replacing them with thousands of native trees important for the native fauna. We urgently seek volunteers to help clear pines and reforest.